Well, here it is. 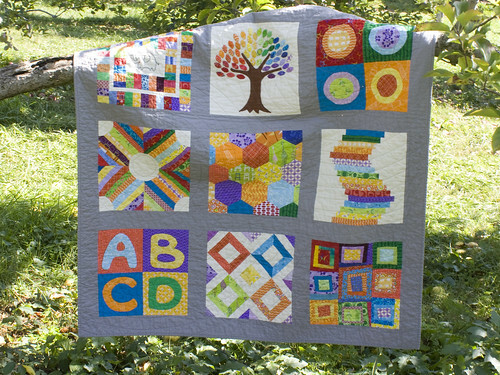 The sampler quilt I plan on giving to my baby, to be born this December. I don’t think there is much more to say about these quilts that I haven’t already said. This project has stretched out for a loooooooooooooooong time. So long, that I’m excited to be able to move onto other things. After I finish those darned Halloween costumes, of course! 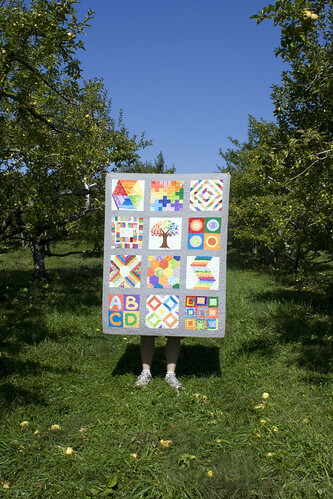 I took the quilt to a nearby apple orchard to take some decent photos. I still have yet to perfect the art of photographing a quilt. One day, I suppose. 5 Responses to I Get to Keep This One! 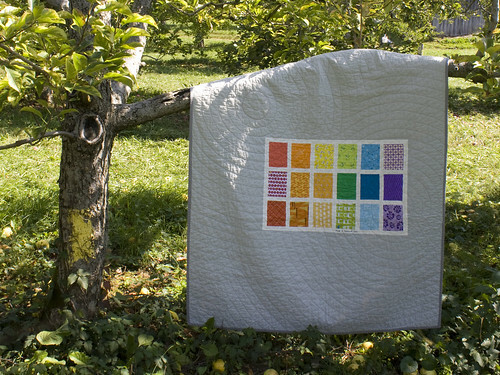 Love this quilt – the rainbow colors against the gray is very striking. 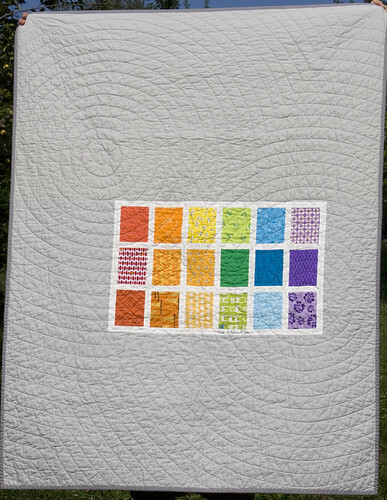 I also like the quilting – did you do it yourself? Your pictures are good, I love the ones with the quilt draped on the tree branch. I love the bright colors . 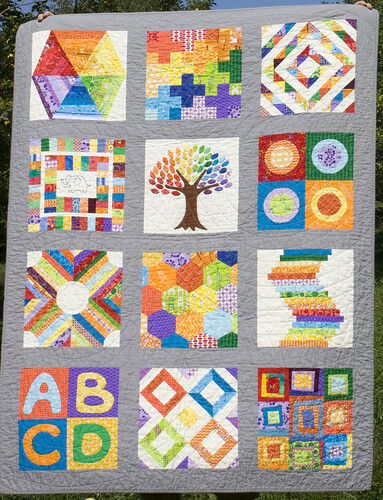 . . and love all the different blocks! How wonderful that you’re keeping it for your baby! UNBELIEVABLE!! Didn’t see this until now. Can’t wait to look at the real thing and then wrap Lucy up in it and smooch her!